Don’t you just love*/hate* it when things that you have painstakingly fashioned for yourself look much better on someone else? No? Yes? Well, when that someone else is the youngest female member of our clan, it’s all good here. No, not that female family member. Although, she does think that fur is for her. Last Jungle January I cobbled together a cream coloured ‘fluffy rumps‘ coat. It seems right then that, for the prestigious occasion that it is Jangle January 2014, I should re-vamp the un-worn (fake) fur coat. 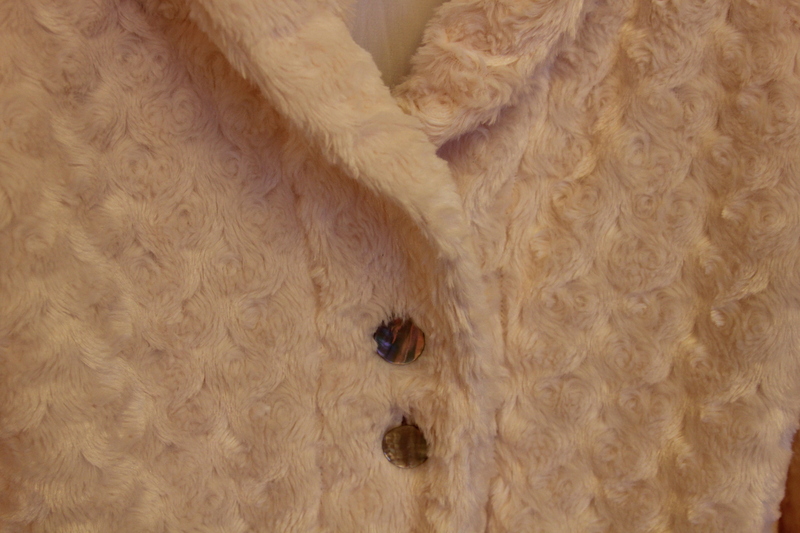 The button and the pockets from the original coat have been retained in the cape. 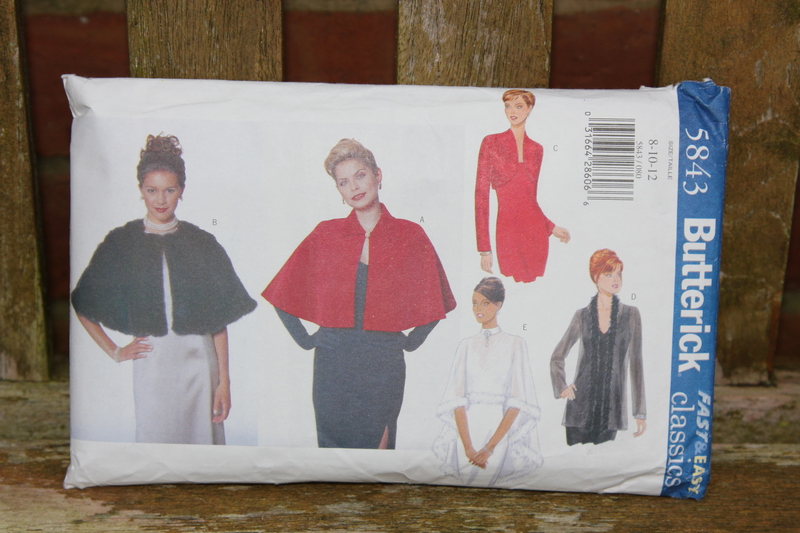 The cape itself is a mixture of the pattern pieces of capes A and B. The muff was created from the two arms of the coat, one arm sewn inside the other. The dimensions of the muff are something like 18″ (48 cms) long by 14″ (36cms) wide. The ends of the muff have been folded back onto themselves to make cuffs. I used about 2 metres of trim for the muff and about 3 metres for the cape. If you want to make a muff yourself, there are quite a few tutorials on the wide world of webs. Although I would add this note of caution: Don’t do as I did and suggest to your youngest that if they needed some decorative inspiration “…try a Google image search for furry muffs”. We re-worded that search pretty sharpish. Enjoy what remains of JJ14, it’s all thanks to Anne! Nice remake! And the muff is adorable… Pretty sure I always wanted a muff! I think that I did have a knitted muff when I was little and I *loved* it. I worry that if I had one for the grown up me that it would be a health and safety nightmare. How would I save myself if I tripped up – which I do *a*l*l* the time? LOL! I can imagine she looked pretty horrified pretty quickly with that search! I love the re-working, isn’t it such a relief that the item will now be worn & loved?? That aside, I’m pleased the fur is going to get more wear. I was surprised at how comfy and warm the cape was, previously I’ve dismissed capes as a practical clothing item for me. Now, I’m not too sure. Maybe *I* need a cape in my life! Oh, absolutely adorable fun fur cape! Looks warm too. And, ha to your internet search. By the way, kitty looks a tad disgruntled that you took away her blankie. Yeah, she can be right grumpy at times. Her sister is much more mellow. Her main gripe was that I dared to suggest she move from her chosen position. Thanks for the cape love, I’m surprised how much I like it, might make one for me!